The social network has partnered with the National Center for Missing and Exploited Children. Calling it the “world’s largest neighborhood watch,” Emily Vacher, Facebook’s security, trust and safety manager spoke with Good Morning America about the social network’s partnership with the National Center for Missing and Exploited Children. They’ve paired up to launch a system of Amber Alerts that will be sent to users in the appropriate geographic areas. 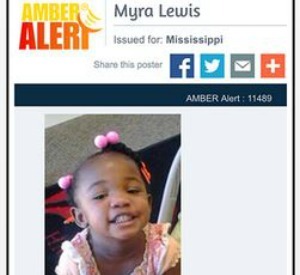 Facebook will send you notice of a new Amber Alert as soon as law enforcement and the National Center share the info. Those details include a child’s photo, giving users something visual to look out for. “We want them to look around and see what they can do to contribute to bringing a child home,” said Vacher. This is also the kind of synergy that everyone can get behind. Social media is for sharing news and Facebook in particular, with its detailed news feed, is a great place for just this sort of community information. It’s a way of using what the site and the brand already has going for it to do some important socially responsible work.